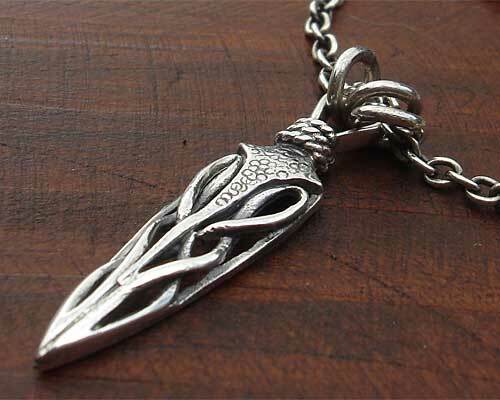 Men's Silver Celtic Dagger Necklace : LOVE2HAVE in the UK! 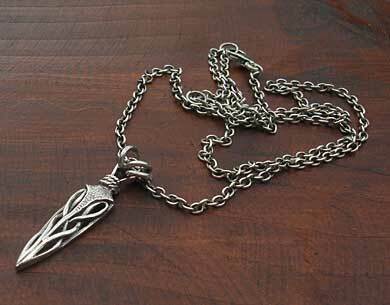 A men's Celtic polished silver dagger on a sterling silver chain. The design has a very three dimensional quality to it and is joined freely to the chain with three silver loops as pictured. 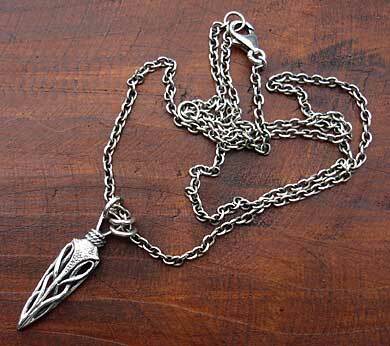 The silver dagger measures approximately 30mm x 8mm. We love this range of jewellery as it comes competitively priced for a designer piece made in the UK. All in all, a great silver necklace for men looking for modern Celtic jewellery.